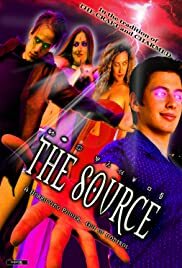 Four outcast teenagers acquire mystical powers that allow them to become gods on campus, with deadly consequences. This movie was horrible. I loved it! Every scene made me laugh! And the acting was so bad it was good! HAH! Why every shot was done with a swaying camera I will never know, but it was annoying beyond belief. I hope the sequel is even funnier. They have to use that Goth kid again, he was funny! Every scene his hair got more and more out of control. And that one girl with the "Orange" powers looked funny when she beat people up with the orange lines made from thin air. Someone had a lot of guts to release this movie with their name attached to it. It did seem like they should have morphed into the Power Rangers... It had that feeling. I was just waiting for them to look into the camera and say, "IT'S MORPHIN' TIME!!"